Want to be notified of new releases in imanghafoori1/laravel-terminator? What this package is good for ? No need to add any service providers. When you see that you have an endpoint from which you have to send back more than one type of response... Then this package is going to help you a lot. 1- User is already logged in, so redirect. The fact that MVC frameworks force us to "return a response" from controllers prevents us from simplify controllers beyond a certain point. So we decide to break that jail and bring ourselves freedom. The idea is : Any class in the application should be able to send back a response. Controllers Are Controllers, They Are Not Responders !!! Controllers, "control" the execution flow of your code, and send commands to other objects, telling them what to do. Their responsibility is not returning a "response" back to the client. 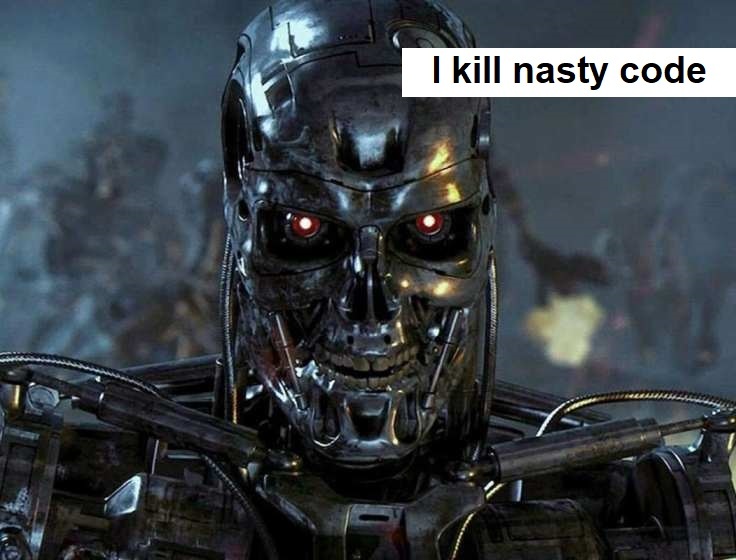 And this is the philosophy of terminator package. //These if blocks can not be extracted out. Can they ? With the current approach, this is as much as we can refactor at best. Why? because the controllers are asking for response, they are not telling what to do. We do not want many if conditions all within a single method, it makes the method hard to understand and reason about. // No response, just commands, Nice ??? respondWith($response); // <-- look here "no return !!!" respondWith($response);  // <-- look here  "no return !!!" respondWith($response);  // <-- look here "no return !!!" Do you see how "return" keyword is now turned into regular function calls ?! In fact sendAndTerminate() ( or it's alias "respondWith" ) function can accept anything you normally return from a typical controller. Let me mention that the "sendAndTerminate or respondWith" helper functions (like other laravel helper functions) can be easily mocked out and does not affect the testibility at all. In fact they make your application for testable, because your tests do not fail if you change the shape of your response. How The Magic Is Even Possible, Dude ?! You may wonder how this magic is working behind the scenes. In short it uses nothing more than a standard laravel "renderable exception". We highly encourage you to take a look at the simple source code of the package to find out what's going on there. It is only a few lines of code. If you discover any security related issues, please email 📧 imanghafoori1@gmail.com instead of using the issue tracker. 💎 It allows to write expressive code to authorize, validate and authenticate. 💎 A minimal package that helps you login with any password on local environments. 💎 A simple package that lets you easily impersonate your users.